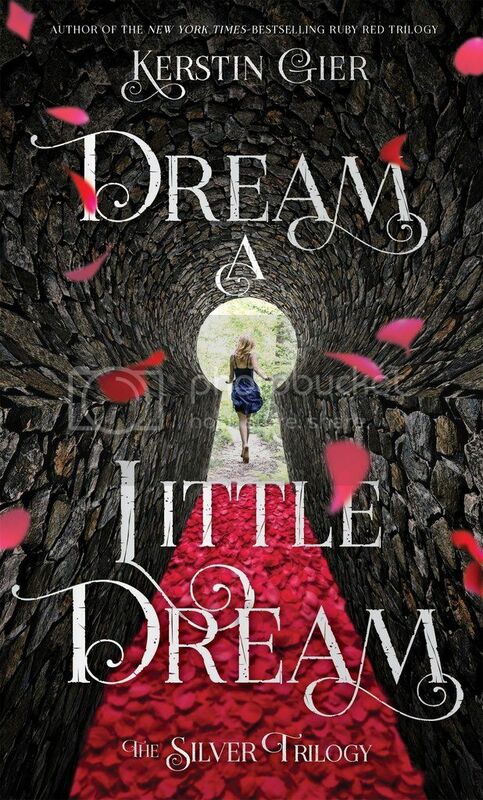 When I first discovered Dream a Little Dream by Kerstin Gier, I knew I would have to read the book. I've had her Precious Stone trilogy on my to-be-read list for quite a while now, but haven't had the chance to read them yet, so I was excited to finally read something by her. I really enjoyed Dream a Little Dream more than I expected to, and now I'm curious to read more by Gier as soon as possible!! The storyline for the book was engrossing, and it felt very similar to Maggie Stiefvater's Raven Cycle series, which I absolutely adore. I love that this book kept me guessing throughout, although I did have one part figured out pretty quickly, and I thank my powers of suspicion for that, but I love not really knowing what was going to happen next in the story. I can't to continue on with this series! Overall; I found Dream a Little Dream to be a very enjoyable read, and I can't wait to start the second book in the series, Dream On, which was released on May 3rd in the US! I'm super curious to see what adventure is next for Liv and her boys!! Thanks for the review! I'd never heard of this one before, but I love the cover, swoon-worthy characters, and laughing, so I'll have to check this one out! Nice! Glad I'm not the only one behind on her first trilogy!! I have it and this one...I just need to read them! LOL! Keep trying not to buy the books ahead, but then all the book sites start putting them on sale that it's TOO good to pass up! Especially for hardcovers! LOL! Glad to see that this one was enjoyable! Great review! My May 2016 TBR & Most Anticipated Releases! !